I arrived early Friday evening in time to check into the hotel and get to the run expo with about 45 minutes before it closed. I was able to walk right up and show the QR code in my iPhone’s Passbook and my ID. Once I was scanned and my ID was checked, I was told to walk to counter 26, where my race packet was waiting for me. The efficiency and the tech were impressive and it was great to be able to just breeze through the pickup process so I had time to go through most of the expo before it closed. With the expo taken care of on Friday, that left Saturday to sightsee and prepare for Sunday’s race. 8am Sunday came around soon enough and with the start of the second wave of runners, I was off. My coach had warned me about going out too fast, and while I tried to pace myself, I obviously did not heed his advice well enough and started to feel it at mile 18. I was able to pick back up again in the later miles, but unfortunately it’s impossible to recapture the lost time and my pace suffered for it. 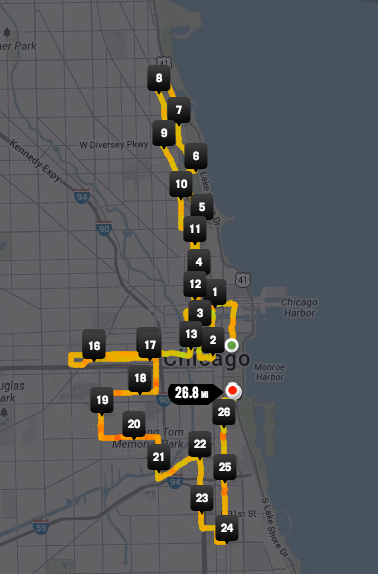 I did get a nice tour of Chicago, a city I have never seen before, and I enjoyed running the race, but it was a lesson for future marathons. 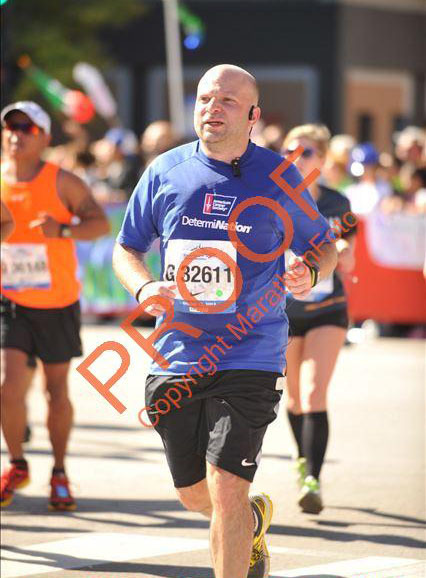 Completing the Chicago Marathon with a time of 4:44:29 meant that I have now completed two of the World Marathon Majors. I am running the ING NYC Marathon again in just a few short weeks after Chicago, but I am setting my sights on my next World Marathon Major in 2014 – Berlin. I’ve registered for the Berlin Marathon raffle to run with some of my Team Determination teammates and will know if I am running it when those with “raffle-luck” are selected in November.